Matthew has extensive experience across a wide range of businesses from entrepreneurial start-ups to well established companies with turnover anywhere from under £1m to over £100m. He has a particular expertise in the property and construction sector. Property clients include specialists in new builds, renovations and social housing projects. 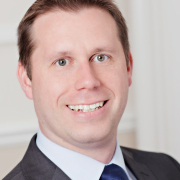 Matthew is a qualified RI and oversees audit process, preparation of annual accounts and other compliance matters. Matthew works with in-house finance teams to help them improve the value they add to the business. He does this by working to improve the management intelligence produced by the teams as well as helping to coach any individuals who welcome it. We are delighted with the quality of the new management reports you have designed. They are much easier to read and understand the performance of our business. The reports have been well received by the bank and have been instrumental in securing new facilities. Matthew joined Goodman Jones in September 2000 after completing a Mathematics degree at the University of Bath. He qualified as a Chartered Accountant in 2003. Matthew is part of the Goodman Jones technical committee and is currently advising on the forthcoming changes under FRS102. Furthermore, Matthew has a keen interest in all aspects of Information Technology and takes a key role in the running of the firm’s IT systems and software. When not at work Matthew is currently kept very busy by his 2 young children. He is a keen swimmer and water polo player. During his University years, Matthew spent a year studying in Barcelona where he learnt Spanish to a high standard. Help to Buy Part 2 – A “mortgage guarantee” success or a housing bubble?